We are excited to announce that on January 25th 2019 we’ll be performing at the Schecter Guitars Annual NAMM Indie Party in Anaheim (CA). Check “Tour” sections for details. “Do Unto Others” released in North America on July 20 2018. “Do Unto Other”s DeLuxe Vinyl Edition out NOW on Back On Black Records! We are planning the “DO UNTO OTHERS” Fall 2018 US Tour, stay tuned for details. “Do Unto Others” LP (coloured vinyl), coming soon on Back On Black Records. Our third album “Do Unto Others” out today world-wide through Dissonance Productions! “Do Unto Others” release date is set for April Friday the 13th 2018 through Dissonance Productions. “Do Unto Others” mastering complete. “Do Unto Others” mixing complete. “Do Unto Others” mixing underway in Los Angeles. We are honored to announce our signing with Dissonance Productions for the release of our third album “Do Unto Others” slated to hit the streets in early 2018. “Do Unto Others” recordings complete! #3 recordings are underway between Turin and Los Angeles. Drums and bass done, currently working on guitars and vocals. Important announcement soon to be announced. “Sworn To Secrecy” US Tour soon just announced! 2017 US Tour soon to be announced! Scalp Bounty (videoclip) available now! The video features hand drawing artistry by MisterNatMan. “Sworn To Secrecy” European Tour just announced! Cradle To Grave (videoclip) available now! No Voice (videoclip) available now! Sworn To Secrecy (videoclip) available now! Twisted (lyric video) and streaming available now! April 28th in Tucson, Arizona. Check “Tour” section of this site for more details. Pre-orders of our second release “Sworn to Secrecy” are available now! Special $10 pre-order price in the Store section of this site until April 29th. According to clickitticket.com we are among the top 25 indie metal bands! Finally announcing “SWORN TO SECRECY” Spring 2016 California shows! Here’s the full “Sworn To Secrecy” track list. Almost 40 minutes of pure mayhem!!! CD out April 2016 through Punishment 18 Records. We had the pleasure of Mario Lopez creating the Sworn to Secrecy cover for our second release. Check out his amazing artwork below! “Sworn To Secrecy” is complete and ready for pressing! Cheers to Bill Metoyer for a tremendous job! As the news of Lemmy dulls our spirits at the end of 2015, we wish all of you a Happy, Safe, and Prosperous New Year! Raise a glass for Lemmy, Phil, Dean, and all of our metal family who have moved on this past year! “Sworn to Secrecy” is nearing completion! Bill Metoyer has finished mixing and is in the process of mastering the final tracks at Skull Seven Studio in North Hollywood. “Sworn to Secrecy” is nearing completion. Bill Metoyer has finished mixing and is in the process of mastering the final tracks at Skull Seven Studio in North Hollywood. 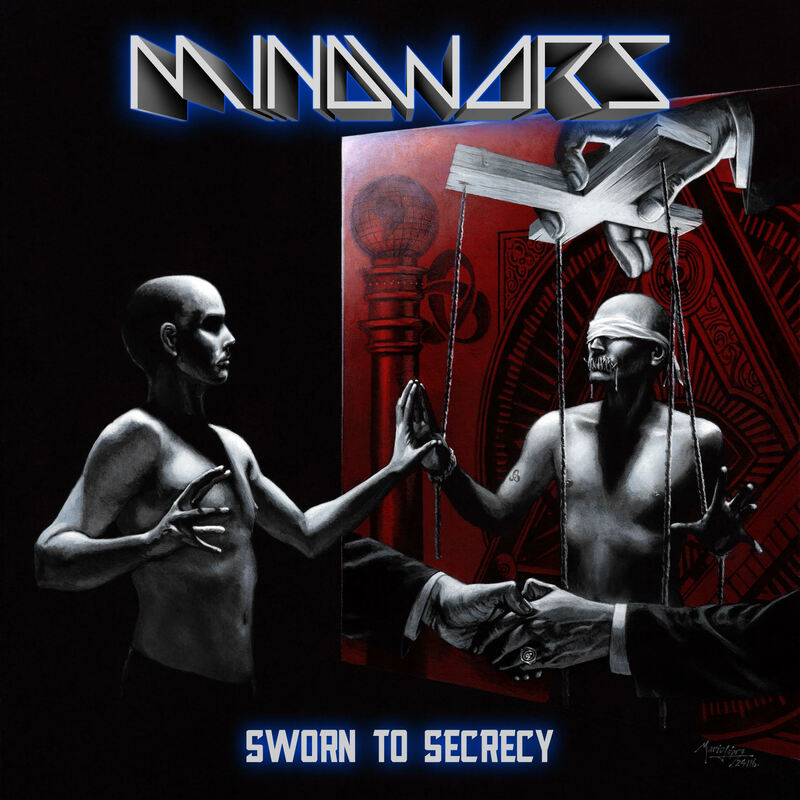 One year ago today, Mindwars released it first record…”The Enemy Within”…we would like to thank everyone for their support and we look forward to our second release “Sworn to Secrecy” coming spring 2016! MINDWARS and legendary metal producer Bill Metoyer are teaming up to mix and master their second release “Sworn to Secrecy”, slated to hit the streets spring 2016 through Punishment 18 Records. Bill Metoyer who has worked with such greats as (Agent steel, Armored Saint, COC, DRI, Dark Angel, Fates Warning, Flotsam And Jetsam, Sacred Reich, Slayer, WASP and many more…) will be handling mixing and mastering duties at his Skull Seven Studio in North Hollywood, Los Angeles this October and November. Next stop: Skull Seven Studio, Los Angeles. We have titled our upcoming second release “Sworn to Secrecy”. Album production should be complete by early Fall 2015 with a release date slated for Spring 2016. Look for more announcements in the coming weeks. T minus 5 days and counting until guitar tracks are laid down for our second release. More details coming soon! Silent Sound Studios, Los Angeles/California booked for Guitars and Vox from Sept 21th! Today is the last day for tracking bass guitar! After a brief holiday, we will return to the studio for guitars and vocals in September. Catch us on Periscope on Monday July 7th at 11am PDT/8pm CET for live studio footage broadcast! Here and see the thundering bass! Sunday June 14th at 8pm CET/11AM PDT we will be broadcasting in the studio live! Check us out using “Periscope”. If you don’t have the app, download it for free through the iOS and Android App Stores. We are currently working on pre-production for the follow up to “The Enemy Within”! This album will be packed with 45 minutes of pure adrenaline. Stay tuned for updates, sneak peaks, and news! “The Enemy Within” is being released on vinyl through Night Of The Vinyl Dead Records (limited edition, 250 numbered copies). They look amazing and will be released on April 30th. Pre-order yours now for $30 (includes shipping) in the store section of this site! Stay tuned for “The Enemy Within” vinyl edition, out Spring 2015 on “Night Of The Vinyl Dead” Records. Thanks for all the support Mindwarriors worldwide…we hope you enjoy the new “Final Battle” lyric video in “Media/Video” section, spread the word!!! Happy New Year to ALL! We hope to see you somewhere around the globe in 2015! Peace! Happy Holidays to all…and especially all Mindwarriors across the globe. Check out our entire album “The Enemy Within” under “Media/Music”. When you Walk Alone you will only hear the voices in your head. A little “retro” music for our supporters! Listen to “Retrobution” in “Media/Music” section. It’s “Time” for one more song to stream. We hope you all have a wonderful holiday season (and Thanksgiving to those in the States). Check “Time in the Machine” in “Media/Music” section. In continuing our thanks for all the support we have received, check our next streaming song from our debut release. Our version of the great Bob Dylan’s “Masters of War” for streaming under “Media/Music” sections of this site. Another song from our debut album “The Enemy Within” for streaming. In recognition of all the support of Mindwars fans throughout the globe, we will be streaming one song a week from “The Enemy Within” for the next several weeks (Media/Music section). We thank you! Today “The Enemy Within” hits the streets! Thank you for all the support to the Mindwarrior Family! It is available on iTunes, Amazon, and all other digital music stores. Hard copies can be ordered directly through our website! “The Enemy Within” is out two weeks from today. (under this site Media/Music section). (October 2nd 2014) “The Enemy Within” album teaser. Check for “The Enemy Within” album teaser in “Media” page (Video submenu). (September 16th 2014) Album artwork and new logo!!! Below the amazing “The Enemy Within” cover artwork and MW logo by Mario E.López M.
(July 18th 2014) We have decided to title our forthcoming debut album “The Enemy Within”. Signed by Punishment 18, “The Enemy Within” is slated to hit the streets October 2014. (June 26th 2014) We are very excited to be able to release our music through Punishment 18, signing this deal with them is a great first step which will hopefully lead to greater things in the future. P18 gives us the opportunity to express Thrash Metal as we see fit! 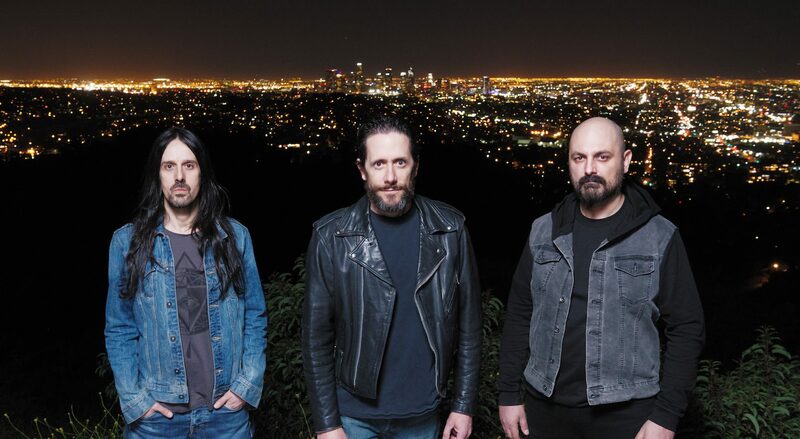 (June 19th 2014) Welcome to MINDWARS Official Website, MINDWARS is currently working on the final production of their debut release which is set to hit the streets in fall of 2014.